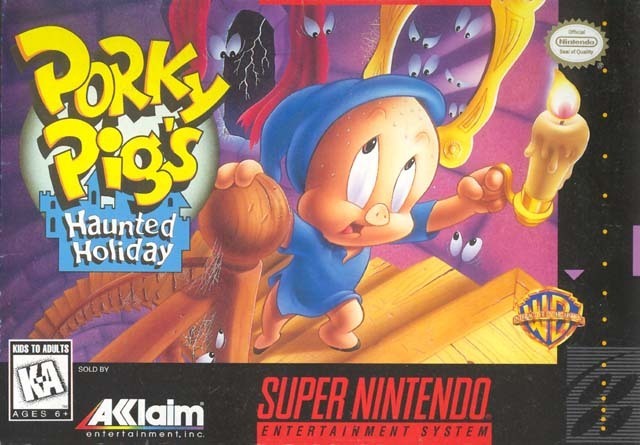 Porky Pig's Haunted Holiday for Super Nintendo has you help Porky get through six challenging levels of action including Haunted Ghost Town and Dry Gulch Ghost Town. However, traps, ghosts, monsters, and villains fill each level. Every time you play, the Chaos Mapping System changes the weather. For 1 player.